Lifestyle – Elegant WordPress Theme is elegantly designed with three header and post layouts that make it suitable for multiple uses. Unlike other magazine themes, Lifestyle is lightweight, fast loading and with optimal performance. It is ideal for creating a sleek online magazine in different niches. It is highly customizable and well optimized for AdSense and other monetization methods. Lifestyle WordPress Theme is cleverly designed and developed with every feature needed to build a successful online magazine, With Stylish Content and Image Layouts. 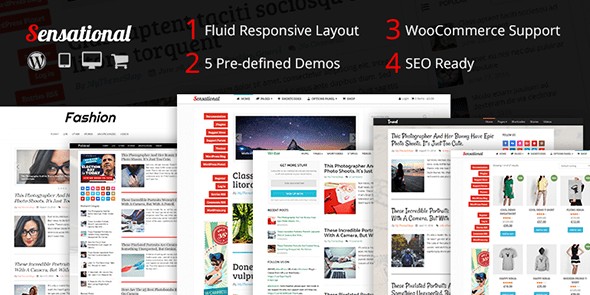 NewsToday magazine WordPress theme is an elegant multipurpose magazine WordPress theme that comes with stunning homepage layouts and predefined demos. It is highly optimized for speed and performance to delivers the best user experience. It’s ideal for multiple niches that include breaking news, newspapers, politics, sport, gaming, technology, travel and much more. This newly released news magazine WordPress theme is for online entrepreneurs who want to become successful and authoritative in the internet news industry. Clean – Minimalistic WordPress Theme is an elegantly designed minimalistic WordPress theme that is built for professionals who want clutter free sites with multiple customization options. Clean theme is perfect for blogs and online magazines and can be used literally in all niches. 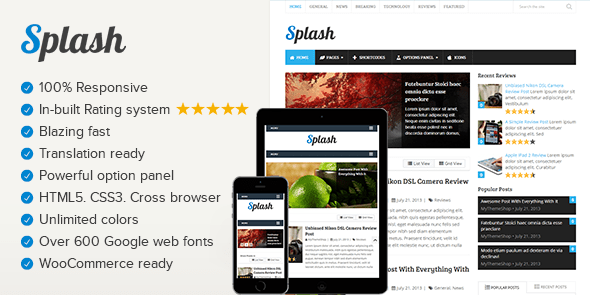 Clean theme is the best multipurpose clutter free WordPress theme. The Clean – Minimalistic WordPress Theme is suitable for personal, fashion, travel, food, technology sites and all other niche sites since its multipurpose. Viral – WordPress Theme For Social Media Marketers thus stands out as the best WordPress theme for anyone looking for a reliable, fast loading and feature-rich WordPress viral theme. The Viral theme has been carefully thought out to help you build an incredible viral site that delivers content at lightning speed and grows the number of users exponentially. Viral – WordPress Theme For Social Media Marketers is a beautiful and stylishly designed social viral theme that redefines how trending and viral sites are created! It is suitable for a broad range of trendy sites across multiple niches. The amazing layouts, beautiful carousel, and galleries, crisp typography, powerful customization options make creating an incredible viral site very easy! Cross Fit is a gym fitness WordPress Theme designed in a modern style. It has a responsive layout that looks great on mobile and tablet devices. The main point of focus is represented by home page slider which scales down automatically depending on your screen resolution. The Theme contains blog page with comments, filterable portfolio with details page, classes based on accordion page and contact page with map of location and working contact form. Cross Fit is fully responsive. Each and every page element is 100% responsive and adapts perfectly for any mobile device. 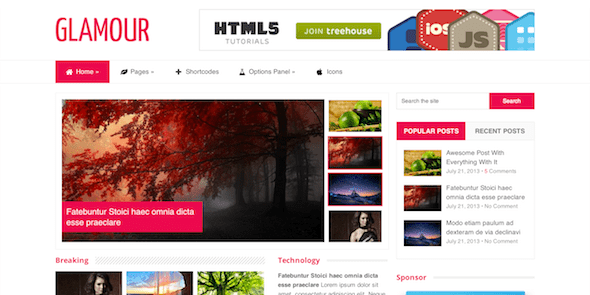 Writer – Professional WordPress Theme is a fully responsive and impressive WordPress theme for writers, freelancers, authors, and journalists. It is free of clutter allowing readers to focus on the content. Writer theme has 3 pre-defined layouts with a 1-click installation. The fonts are readable, and the subtle color scheme makes it suitable for all writing projects. An ideal WordPress theme by MyThemeShop for Writers should be lightweight, SEO-friendly, fully responsive, with elegant typography, and visually appealing features that help in content promotion. SocialNow – Fully Responsive WordPress theme is a beautiful WordPress theme that is ideal for sites that rely heavily on social media marketing. An intuitive navigation makes it easy for users to find your content, while in-built community tools and social sharing helps you to grow. Tons of features and a truly professional feel round off this awesome package. 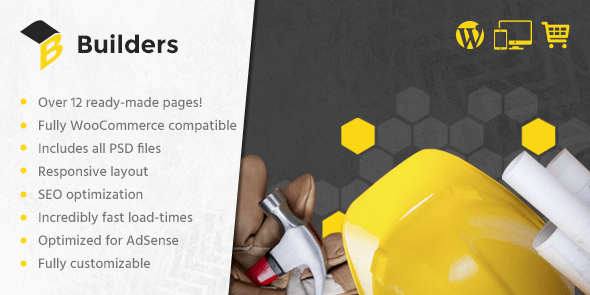 Builders – Responsive WordPress Theme theme is one of our unique and multi-purpose themes that you can use to create any type of website, regardless of what business you are in. Builders is a theme that’s designed specifically for the construction industry. Whether you sell tools or services, you’ll be able to attract more customers with a stunning site design and smart layout. Ultimate Magazine WordPress Theme Multiple Layouts! 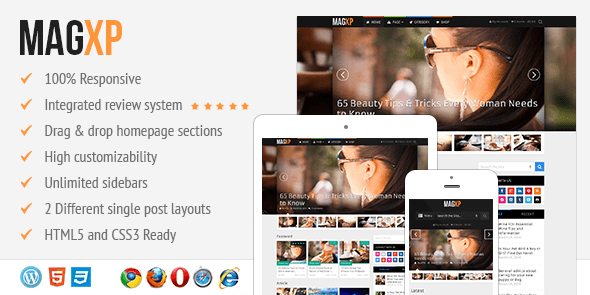 MagXP is one of MyThemeShop’s most popular multi-purpose themes. It comes with 11 different layouts for different niches. You can use MagXP WordPress theme for Blogging, Magazines, Health website, eCommerce website, Technology, News, Social, Food, and Video niches among others. Needless to say, it can be customized for different types of websites, and you don’t have to worry about someone having the same design as yours. For the homepage, you can choose between grid or tradition homepage layout and 2 unique homepage sliders. Get A Stunning Look & Flawless Performance! 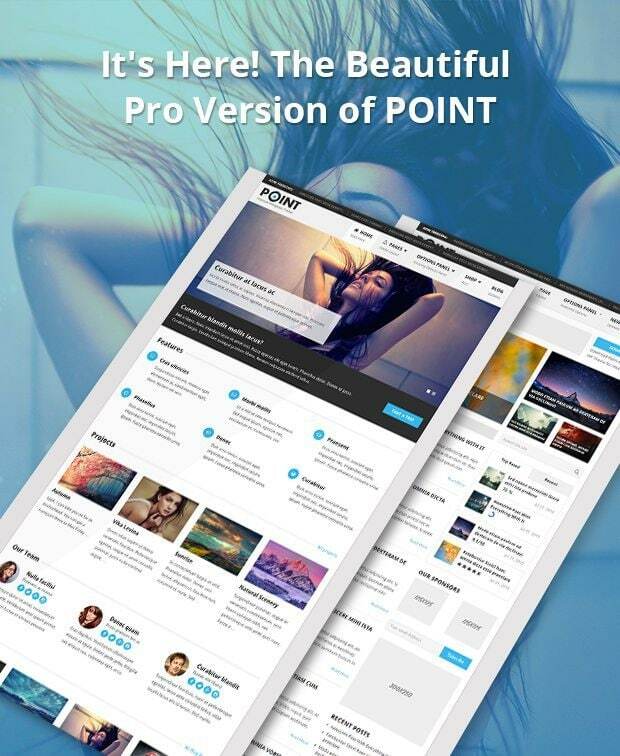 PointPro is a premium WordPress theme for professionals by MyThemeShop. With a modern, responsive design, a stunning layout with lots of headings and sections and a slew of top-end features; this is a theme that can allow you to compete with the top players in your niche! MoneyFlow WordPress Theme is a modern and professional blog theme for users who are serious about making a living online. 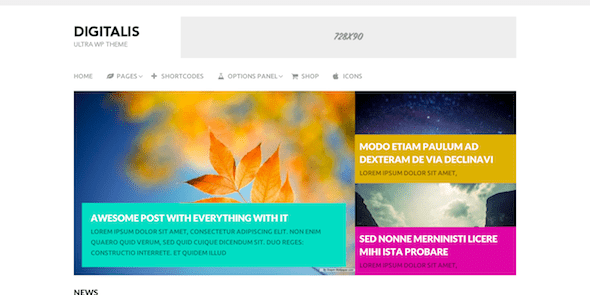 Take advantage of advanced features and easy monetization and impress your visitors with a dynamic and appealing layout. Search engine optimization, AdSense integration and WooCommerce support are all done for you – all you need to do is start blogging! Sensational – Responsive & SEO optimized WP Theme brings out the awesomeness of your blog to the fullest. It will transform your average looking Website into an absolute stunner. You can play with different Color Options and layout styles to make it a perfect fit for showcasing your content. Whether it’s the amazing hovering effects or awing transition slides, you will find everything you need, that too at an unbelievable price.